Oconostota meets at St. Giles Presbyterian Church, typically at 7 PM on the third Thursday of each month. Months where there is an AKK Lodge Fellowship, the Chapter meeting is held at the Fellowship. 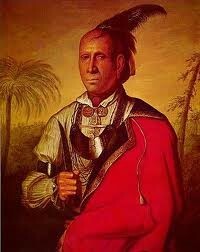 Oconostota is named after the great warrior of the Cherokee tribe and friend of Chief Atta Kulla Kulla, Chief Oconostota.